PR may be listening, but is management listening to PR? PR needs to be integrated as a management function in order for this to work. When a company changes as a result of a crisis, that is definitely a reactive strategy. 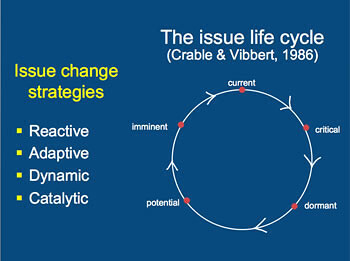 On the issue life cycle, they definitely woke up too late!